Today, I’ve gotten around the Sun 31 times. It’s a fun way to look at this way, as we’re all revolving the Sun. And who knows for how many more. What to say on my birthday? Well, I think it’s going to sound a little disappointing ’cause my thoughts are pretty much the same, more or less, of what I’ve said in my last few birthday posts. Although I must share that in the last few years, I felt like there was a cloud over my head, as I thought deeply about myself, then an opportunity opened up for me to work abroad in Korea for a year. That seems to make a big difference in myself, as I immersed myself into the ways of Korean culture and also had been interacting with Koreans, which I’ve realized to be a little different than the people in America. Koreans do have a strong sense of identity to themselves and quite proud of what they’ve accomplished thus far and the language, Hangul, is a big part of that. In fact, they’re the only country that has a national day devoted to the Hangul language. They dabble in the thousands of Hangul keys on their smartphones everyday. 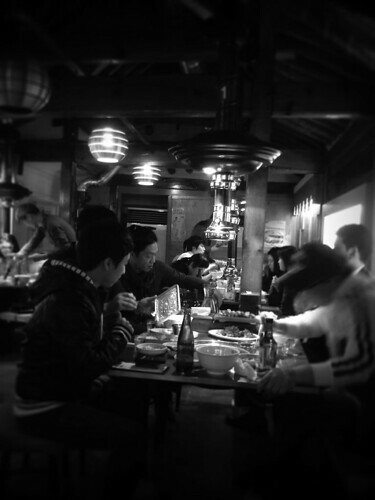 Aside from learning about the culture, the biggest benefit of being able to live in Korea for a year was simply getting know the area and whereabouts. It’s this subject that pops up often in conversations as Koreans may ask you where you were born, where are you from, where do you live, and where are you going to. South Korea is roughly the same size as Indiana is, so it’s much smaller than most people expect it to be. You’d need to have a good knowledge of the geography and whereabouts in Korea to have some meaningful conversations with Koreans. By now, I’m familiar with the geography and what do cities look like. 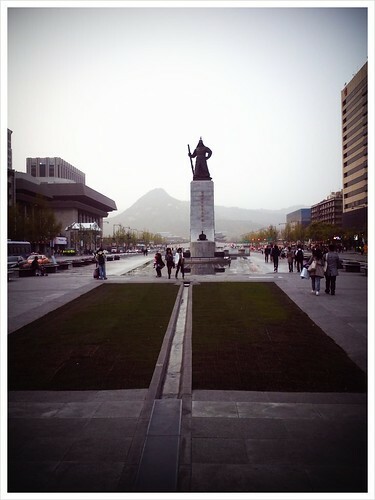 I even snowboarded at four different ski resorts and went on KTX train to Busan to visit my sister and her family. Also, I’ve been reading into the history of modern Korea as I think it’s important to know where you come into the picture. Really great read is here. Pretty much what you need to know about its modern history. I read one book that explains how Korea was literally down to one city, Busan, and had the city been captured, it’d be all over for South Korea to have any hopes of having democracy in the government, so it was a big deal that General MacArthur had a brilliant idea of attacking the Communists from the port of Incheon. You can read all about it here. During the whole time I was in Korea, I often thought to myself what it’d be like if I was never adopted? what would have become of me? would I be able to get some equal opportunities? I know it would be nothing comparable to what I’ve done so far, however, it’s not as dismal as some people may be inclined to believe. I’d be poor but I think I would have found something that’s interesting to me, perhaps I’d become a StarCraft pro gamer, playing games every night at a cyber cafe, or maybe teaching myself how to program and try my best to get into college, if I had a drive in myself. That’s the conclusion I made after living in Korea, and the biggest factors that contributed to my adoption was dire economic conditions at the time—it was $2,000 per capita in 1981, the year I was born in, and now? almost $30,000 per capita. Then you combine with their traditional Confucian beliefs that they want to have sons and keep their families very homogenous, and social welfare was non-existent at the time, so it’s not hard to see why adoptions would become widespread that resulted in more than 200,000 overseas cases of them. Finally, it was my deafness that led to an adoption. Had my family have any money, they wouldn’t have given me up. That, I’ve believed to be true. Now, the cloud I have over my head seems to have been cleared away, and there’s no more mystery of what I need to know about my family and the country. 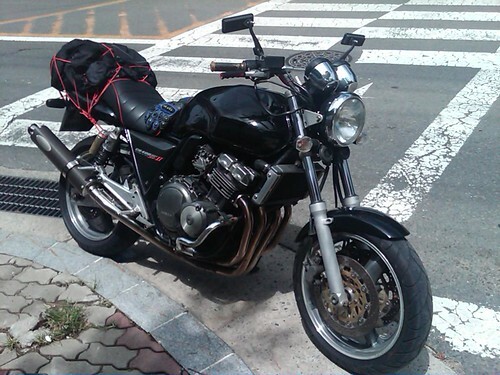 I rode alone on my Honda motorcycle from Busan to Seoul, which took me about six hours. It was one of the most peaceful times I have and weather was nice and sunny on that day. I got lost a few times, made some U-turns, took some detours, went on small roads around hills and mountains, passed by rice paddies farms (don’t mind living on one), rolled over a few different bridges, saw beautiful rivers underneath and waved my hand to motorcyclists whenever they pass me. As you may already know, the luminary Steve Jobs passed away last fall, shortly after the announcement of the iPhone 4S and it would have been his birthday in 2 days, Feb. 24th. I had some hope that I’d somehow get a glimpse of him in person since he was living in Palo Altos which isn’t very far from here but that never happened. I think the iPhone was his biggest invention of all because he had a vision that he’d like to put an Apple product in every person’s hand and that vision helps propel his company to become the most valuable company in the world. He’s put himself into the legacy of some famous people we know—Thomas Edison, Henry Ford, Albert Einstein, Walt Disney, and so on. He’s put art into the products and knew that users want to be entertained during lull time and able to connect to one another via FaceTime. I’m still thinking about what I’d like to do in the next thirty years and I think I’d like to become a program manager and help the deaf. I’m working towards that goal right now.